It must have been with good reason that they're doing this because if it's about health, they've got to put their money where their mouth is. I love Canola oil and I've been cooking with it for a few years now. With the health benefits you get from it, it must have surpassed your expectations most specially if you cook for your family from morning, noon and night. 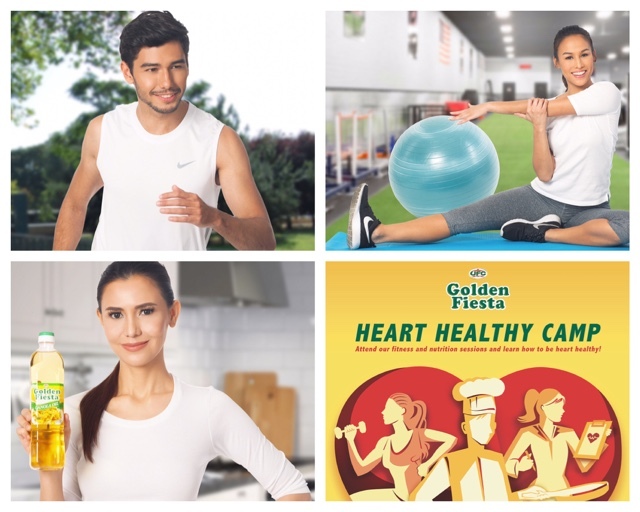 Our friends from NutriAsia knows how important it is to keep healthy so in order to promote one of their products Golden Fiesta, they are holding the Golden Fiesta Heart Healthy Camp this November 11, that's tomorrow Saturday at the Solenad 1 grounds in Nuvali Laguna. If you want to join just simply sign up at the Solenad 1 Flex Lot 6AM on the day itself so you can join the various activities, workouts and regimens they prepared for you so you could jumpstart your healthy lifestyle despite your busy life. The event will only last up until 11am so you better be there early. It will be facilitated by fitness buff and Chef Jose Sarasola and executives from NutriAsia. They will also be doing this in other places in different dates like Bonifacio Global City on November 26, and ETON Centris on December 3. For more updates on the different legs, make sure you like their Facebook page at "GoldenFiestaPH". There's no excuse for not living healthy, and watching what you eat because it falls on how good your choices are right from the moment you spend in the market. I might drop by tomorrow so see you!